When time is short, you are going to need to be able to quickly determine what you want your speech to look like. I’m sure that we all have favorite speeches that have stayed with us over time. However, now is not the time to try to reproduce those speeches: you need something that is going to work for you quickly. This would be a good time for you to remember one of the rules of three: every speech has an opening, a middle, and a closing. What this means is that all you need to do is to create content for each one of these sections and you’ll have yourself a speech. If you had more time, then you could create a speech with more sections and more subtle interactions between the different sections. However, when time is short this simple 3-part structure will do just fine. Use the introduction to describe what your speech is going to be about. Try to include a single sentence in the introduction that clearly states the purpose of the speech. In the body of the speech you are going to want to deliver the information that your audience is looking for. Finally, you are going to want to review the information that you’ve covered and the conclusions that you’ve drawn in, what else, but the conclusion. 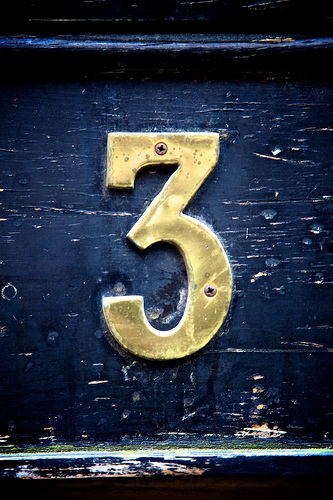 The power of three goes far beyond just determining the number of sections that you can use in your next speech. It can also help you to craft a speech that will be remembered by your audience. The human mind has a limit on the number of different items that it can retain and absorb at any given time. It turns out that three is pretty much our limit. Think back to the last speech where a presenter shared with you their “10 step process for…”. Can you remember all 10 steps? However, we do a good job of remembering things when they are presented to us in groups of three: red, white, and blue. Burger, drink, and fries. Etc. Although you may protest and say that you’ve got more than three points that you want to make in your next speech, I would ask you to give it some thought. More often than not, you can boil the information that you want to share down to just a few points – and that’s what your audience is going to be able to remember. I’d like to be able to tell you that every time you are asked to give a speech, you’ll be given enough time to prepare for it. However, as we all know, that simply is not the case. All too often you’ll find yourself under the gun and required to create and deliver an effective speech in too little time. When this happens to you next time, you can use a speaker’s favorite number, 3, to solve your problem. You can start by creating a speech that has three parts: an opening, a body, and a closing. Once you’ve done that, you can make sure that you focus your speech on three main points. By taking both of these steps, you’ll be able to quickly create a speech that will be both effective and remembered by your audience. The really good public speakers know that they can’t always have as much time as they want when they are asked to give a speech. Instead, they can use the power of 3 to create very good speeches. Use this rule next time you’re asked to give a speech and show just how flexible you are! Question For You: Do you think that there would ever be a case where having four main points would be clearer than having just three?